Disclaimer: While this may sound like a Coleman promotion, I swear we have no stake in the company. In fact, I have never before owned a Coleman product. I would, however, gladly accept a Coleman sponsorship of our summer road trip. If you're listening, Coleman, we will shamelessly peddle your goods from Boston to Seattle and back if you help defer some of the road trip costs. Without help from the Coleman Corporation, the holidays were good to us this year. Our excitement over the Vanagon was contagious and the family was eager to support our summer plans with some vital road trip supplies. My parents ticked two major items off our wish list: cooler and stove. 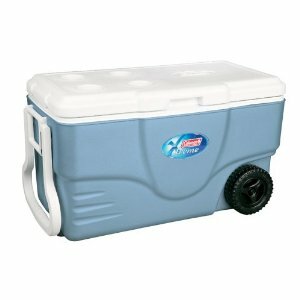 Since we don't have a full camper Vanagon, a quality cooler will be essential for long stretches of summer travel. We opted for the Coleman 62-quart Xtreme chest cooler. It fits perfectly behind the passenger seat of the van (we obviously won't be traveling with the rear-facing jump seat) and it will also provide a nice work surface for cooking and prep. I'm used to the limitations of a compact backpacking stove, so our new Coleman PerfectFlow InstaStart Grill Stove truly seems like a luxury range. 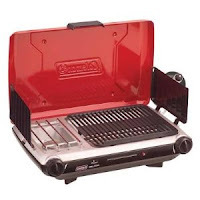 I know we'd quickly tire of pan frying or boiling all meals, so this has the added advantage of a quality gas grilling surface. My sister came through with a great gift that I hadn't considered. Surprise, surprise: a Coleman. 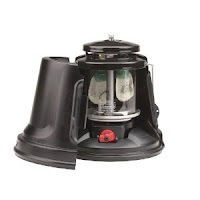 It's the Coleman QuickPack InstaStart Lantern, also available on Amazon. It easily collapses into a hard case for storage and transportation, hopefully preventing us from breaking the glass. This will be great for hanging out at campsites. Consider this entry a preliminary report. Road trip testing and reviews will follow! Wildlife sanctuaries are one of the beautiful places that provide you an exciting look of the varieties of flora and fauna. You can also visit some danger animals during the visiting of these wildlife sanctuaries. These places are perfect example of the nature and environment, where you feel exciting surroundings.